I've been taking 3D photos since the late 1980s, either using a normal SLR camera to take two pictures, or using a Loreo or Nimslo 35mm camera. Since buying a 2D digital camera I realised how much easier digital is than film, and since then I've had very few films developed. Also, for numerous reasons the 3D cameras I owned did not produce particularly good quality images. For these reasons I decided to make myself a digital 3D camera. 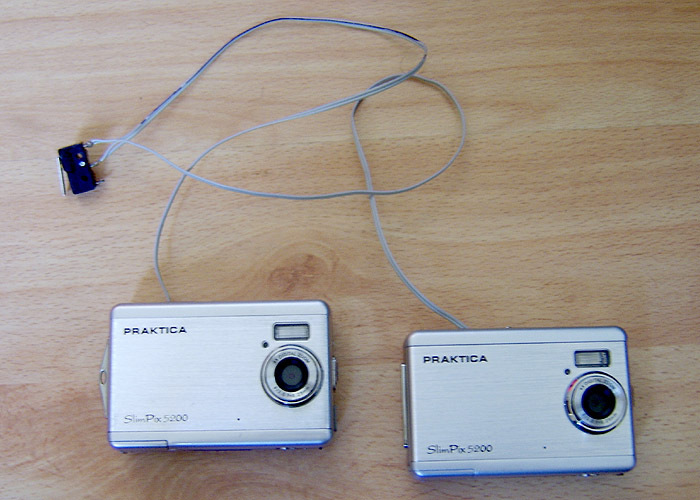 My plan was to buy two cheap digital cameras, wire the two shutter buttons together, and mount them on a bar. I decided to use fixed-focus non-zoom cameras for two reasons; Taking 3D pictures of objects closer than a couple of metres away wouldn't look good, so I didn't need to focus that close, also synchronizing two zoom lenses would be a nightmare, and if there was no zoom or autofocus, there would be no moving parts so the batteries would last longer. 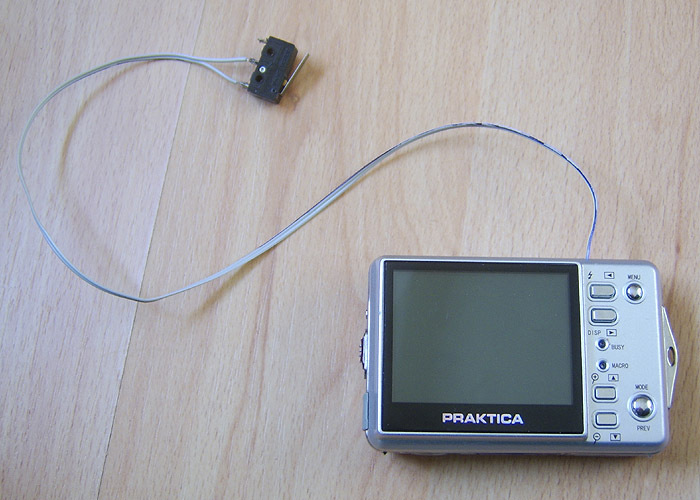 After deciding on a camera (the Praktica Slimpix 5200), I watched eBay until one came up cheap, and I bought it. I got a single camera on the cheap because I wanted to see how easy it was to take apart and modify without wasting my money on two. It turned out it was very easy, so I got a second one off eBay. 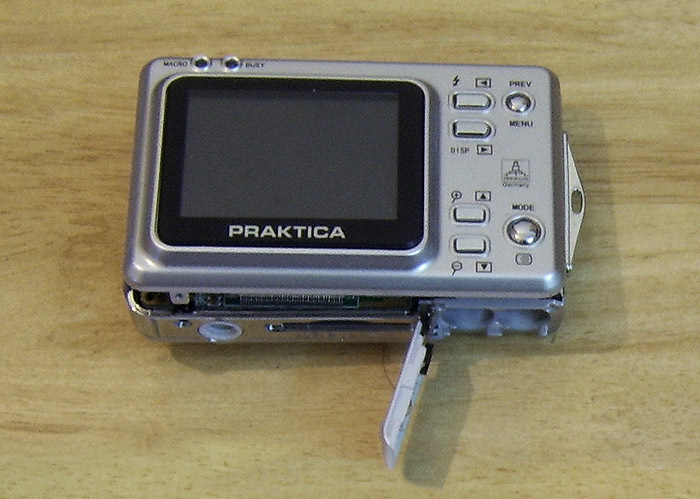 Unfortunately, the firmware was different between the two cameras, and the more up-to-date one took pictures much more quickly, so the cameras weren't in sync. So I ended up buying a third camera. This one had been updated with a larger screen, but at least two of the cameras had the same picture delay. 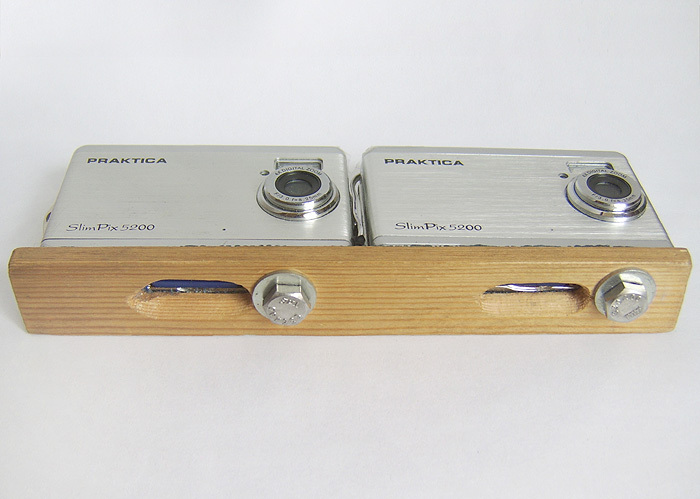 Originally, I wired the two shutter buttons to a seperate switch, and mounted the cameras on a custom camera bar made of metal, which worked fine, except I couldn't get the SD cards out of the underneath of the camera very easily. 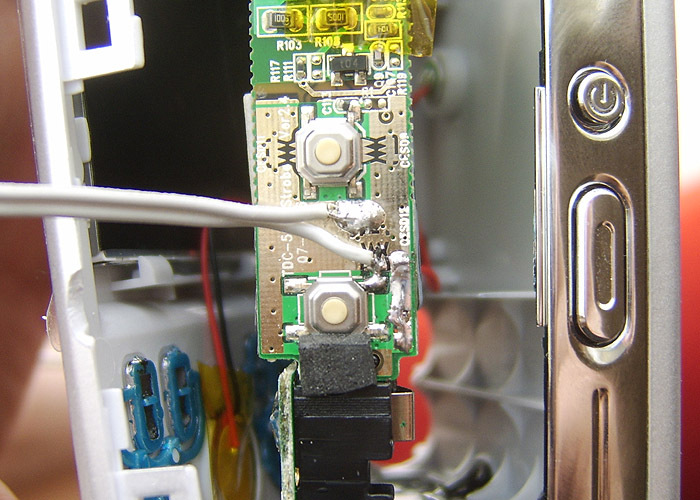 So, I changed the camera bar to one made of wood with slots in it to allow the removal of the SD cards, and also did away with the switch - just wiring the shutter buttons directly to each other. The batteries are difficult to change, but they last for ages anyway, so it's not too much of a problem.